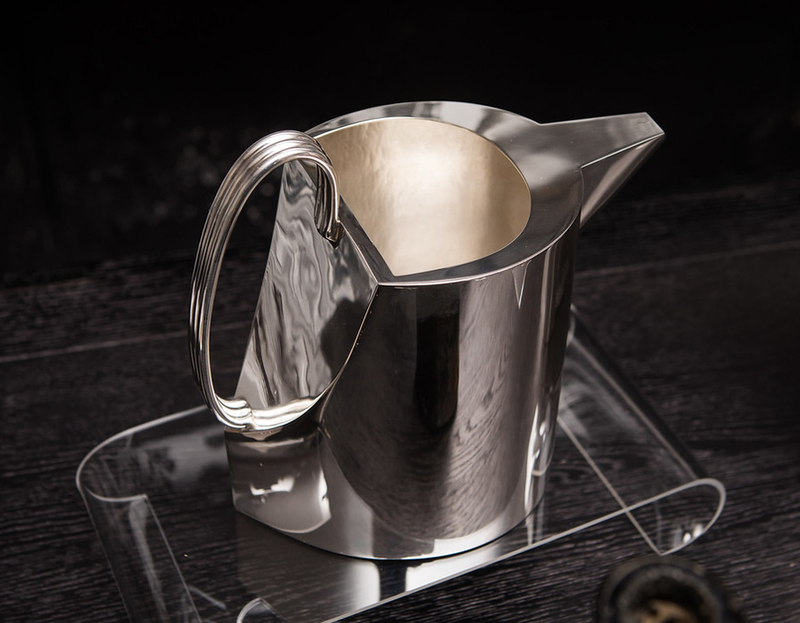 This gorgeous silver pitcher was part of a series of design variations on bird forms and the title references how a sound changes as it echoes. The vessel was based on the shape of a bird’s body and the spout a beak. The handle was fabricated with three thick round rods of solid sterling silver, which creates the texture that functions superbly for gripping. 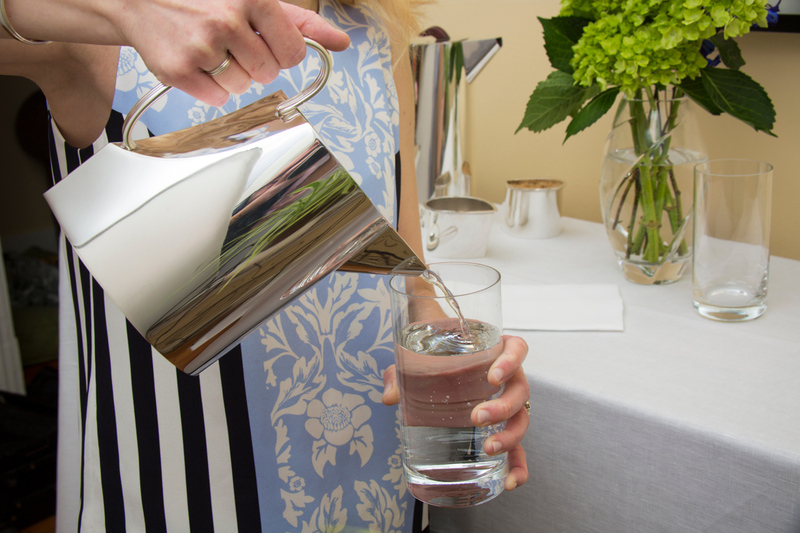 This sterling silver pitcher is perfect for serving any cold beverage and makes a lovely heirloom gift. It has been featured in Traditional Home magazine and shown in exclusive, competitive exhibitions, such as Architectural Digest Home Design Show in NYC and Philadelphia Museum of Art Craft Show.